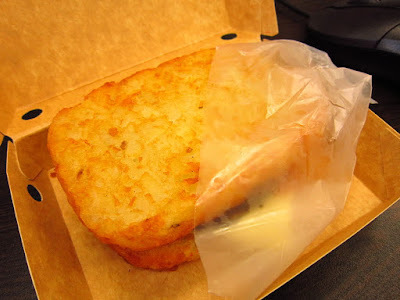 I loved hash brown since I was in grade school. It's one of the usual canteen items I used to buy back then. I'm so addicted to hash brown that I could finish a dozen pack (which my aunt buys for me) myself. I don't care if it's deep fried or shallow fried (yes, it can be shallow-fried, trust me). I love it best with just mayo on top. 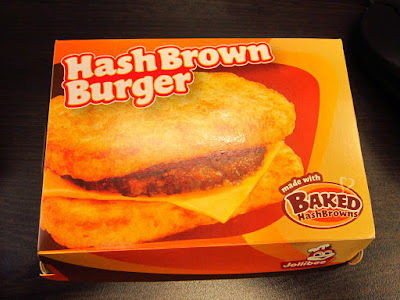 Curiosity will kill me if I wouldn't try the newest burger from Jollibee. Yes, Jollibee joined the "unique burger" trend. At first, I was expecting an umay factor for this burger. 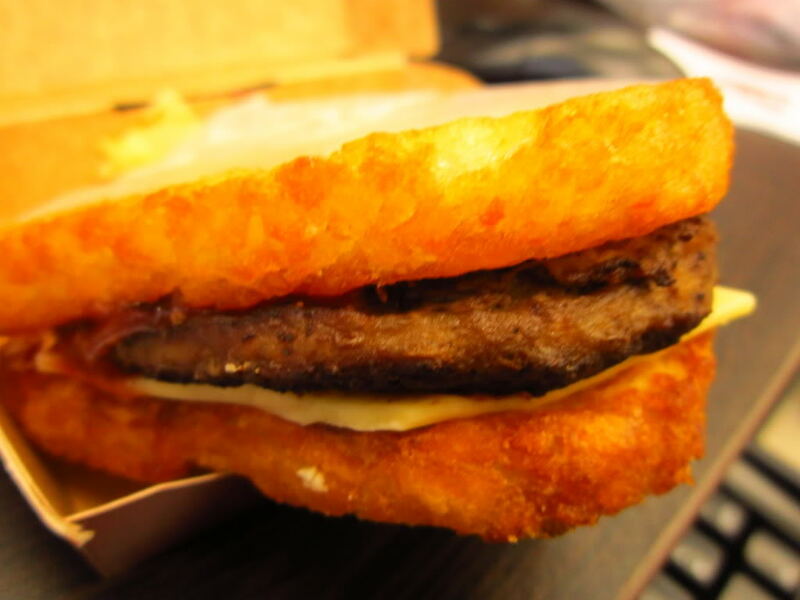 But surprisingly, the hash brown goes well with the patty and cheese. The hash browns, though baked was still a bit oily but does not have an aftertaste like McDonald's hash brown. Overall, I loved it! I would like to commend Jollibee for creating this kind of burger. It's more affordable than the KFC Double Down and Tower Burger. This burger's bound to get everyone addicted. Geez! Calorie overload. But yeah fine ill try it too. LOL. Nice one michy!